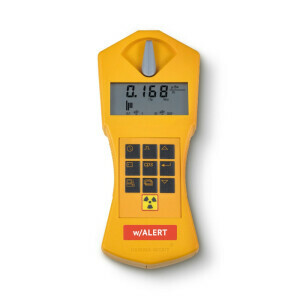 This model features an acoustic alert when radiation level exceeds a user programmed threshold.. 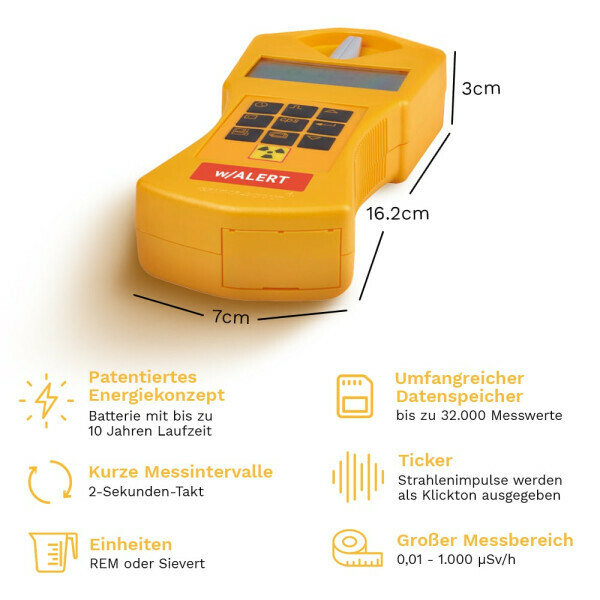 The user can set an acoustical ticker which activates with each gamma pulse detected. To save battery resources, the signal shuts down after ten minutes and must be restarted. On devices with rechargeable batteries, the ticker will not shut down. 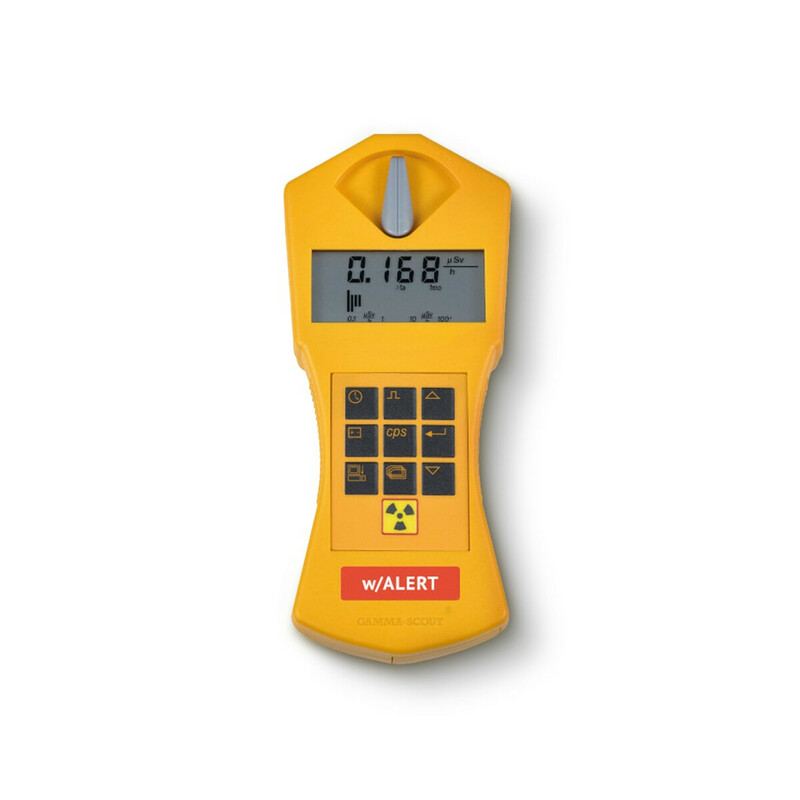 In measuring mode, the display shows the current radiation measurement reading. The display also temporarily shows the average H of the last day (24h, 12 am to 12 am). 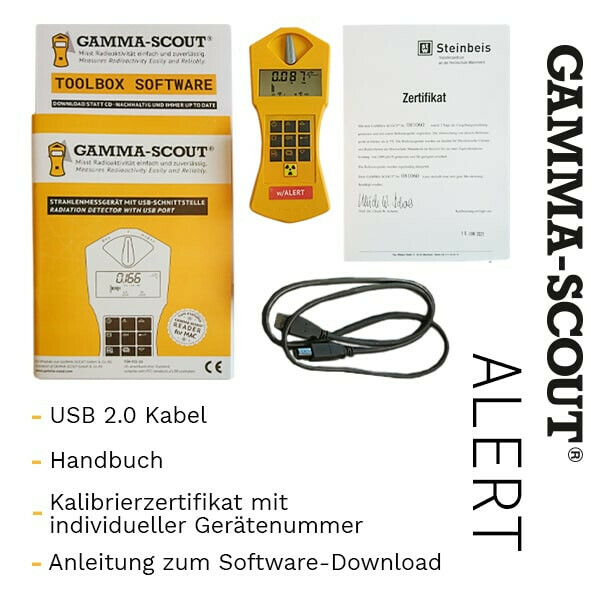 GAMMA-SCOUT® is calibrated across a wide scale (0.01 up to 5000.00 µSv/h). the Institute of Radiation Protection; a government controlled university for Applied Technology. The tested device must be in a confidence interval of 5% in comparison to a master. This master is adjusted to a gauged reference Cs-137 emitter. 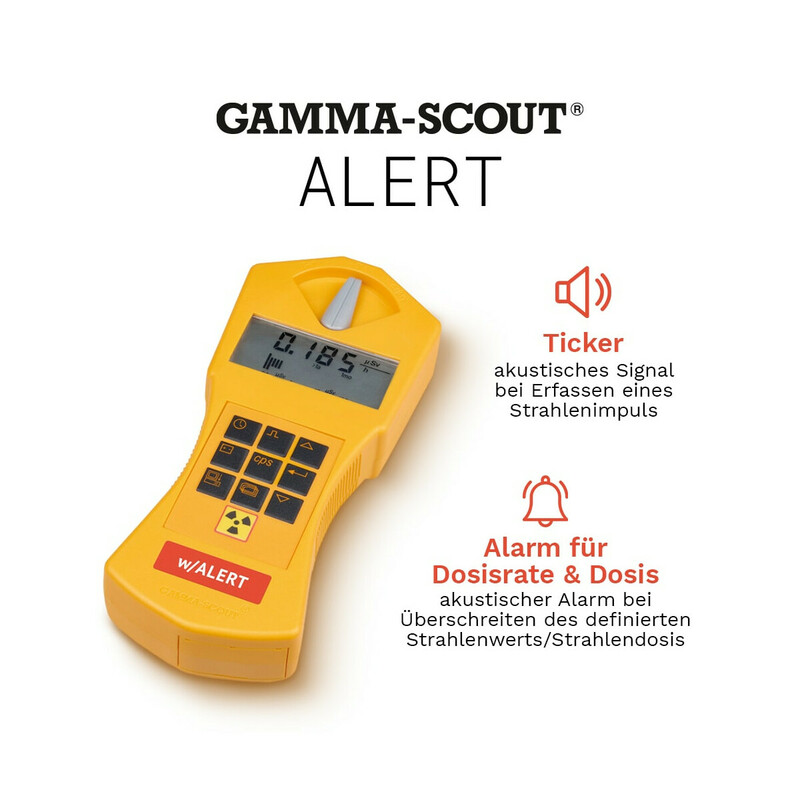 GAMMA-SCOUT® can be used as a dose meter (cumulative radiation). 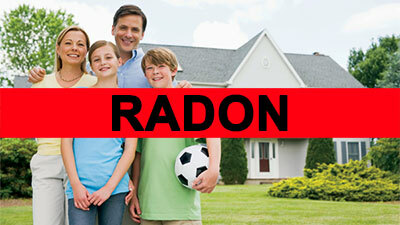 The dose rate may be displayed in Sievert or Rem. 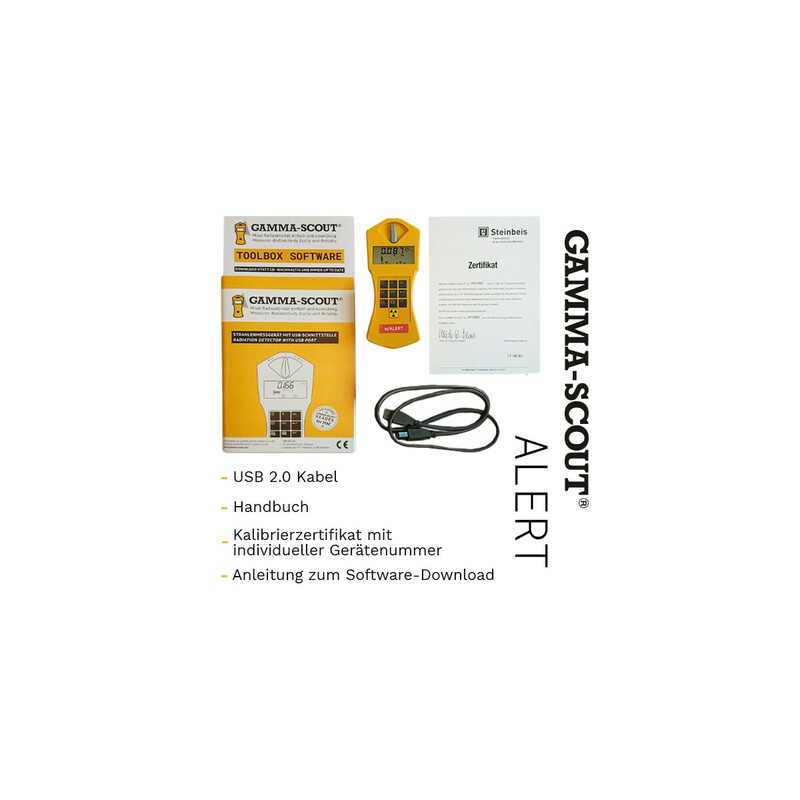 The GAMMA-SCOUT® monitors radiation day and night and logs data for later download. of data storage is set on a value of one per week. This equals 600 years of memory capacity. The user can set up smaller intervals, which maxes out the memory capacity sooner. To clear the memory content, see the manual. ?FCC 15 standard? of the USA. GAMMA-SCOUT® may be carried on aircraft. 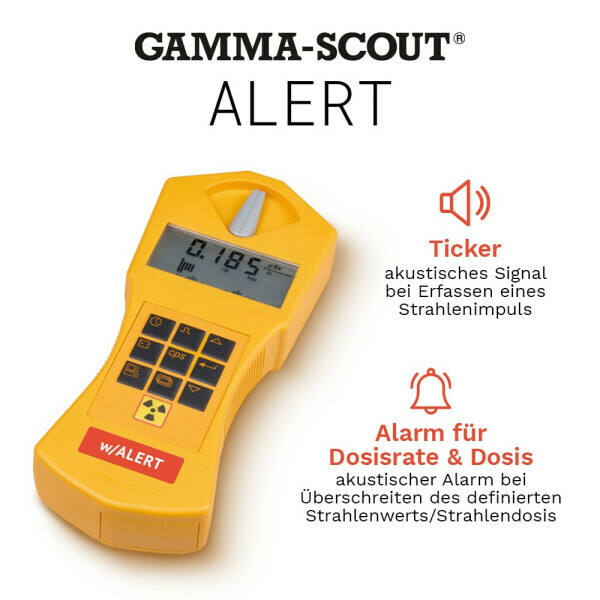 Leading Gap - What makes Gamma-Scout superior in comparison to other Geiger counters? There are a variety of Geiger counters available on the market today. What makes Gamma-Scout a superior product? quality. Gamma-Scout operates with this counter tube, which can also measure alpha radiation (e. g. radon gas/plutonium). 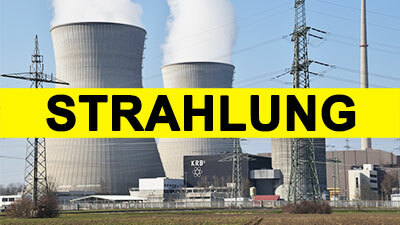 Lower-priced Geiger counters use counter tubes of lower quality and can only measure gamma radiation. (approx. 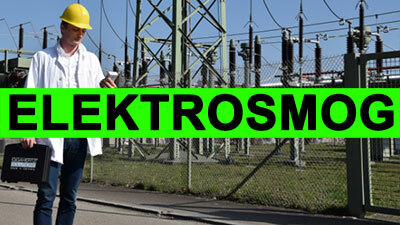 10 microampere in basic operation mode) that the battery lasts for many years. at least several hours, or even better, several days. advantage that semiconductors remain more stable in comparison to devices with operation interruptions. 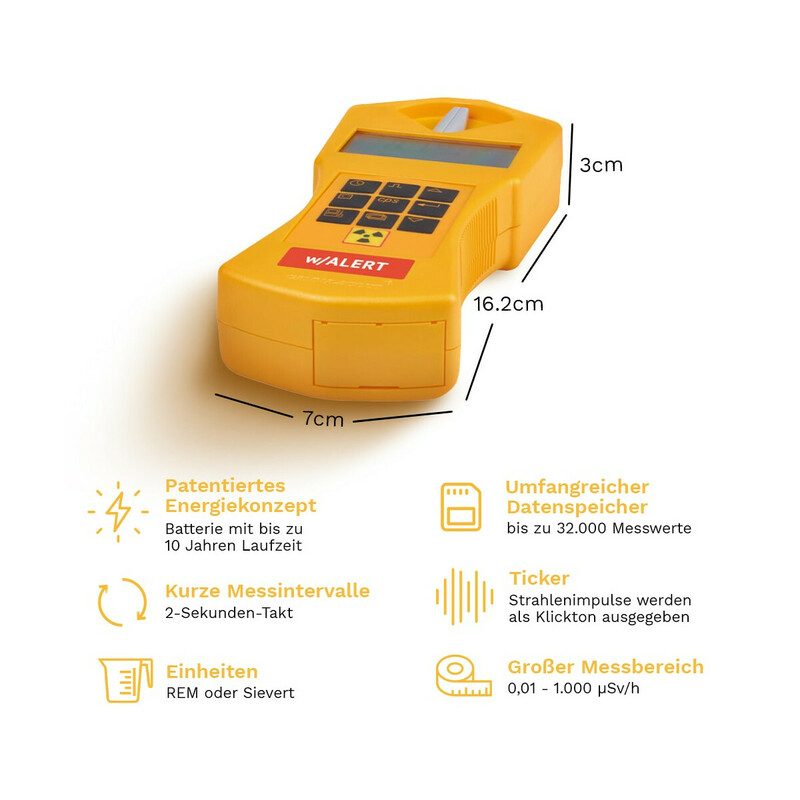 potential customers, we have developed the Gamma-Easy available at the lowest price level one can offer for Geiger counters with reasonable measurement. Free shipping to US ! Very good shop for Gamma Scout Products. Price was far cheaper than the official Gamma Scout supplier, eBay, or amazon. Shipping to Canada was only 20 EUR compared to the hundred dollars elsewhere. Shipped quickly, though the package was stuck in customs for a few weeks. Would purchase from again.